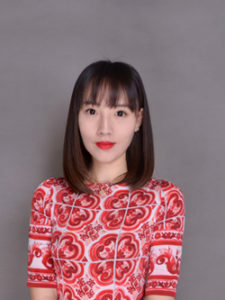 Conax welcomes Joyce Zhang to the team! As our Account Manager for Distribution & Partner Sales in Shanghai, Joyce brings years of relevant industry and sales skills to Conax. Prior to joining Conax, Joyce was the performance leader in sales at a Shanghai distribution affiliate for a US-based Fortune 200 manufacturer of industrial products. In addition to her own customer outreach efforts, Joyce also managed a six-person team targeting industries that are relevant to Conax and its customers. Prior to her experience in Shanghai, Joyce lived and worked abroad where she led sales efforts to bring organic and high-end Asian foods to consumers in Australia. These diverse and rich experiences have given Joyce the tools and knowledge to help our team support our distributors and partners throughout China and neighboring countries. In her free time, Joyce enjoys hiking, swimming, reading, playing the piano, shopping, and watching movies with friends.